For the third time this year, a North Korean delegation of nuclear weapons experts visited a military research facility near Tehran last month, an exiled Iranian opposition group said. 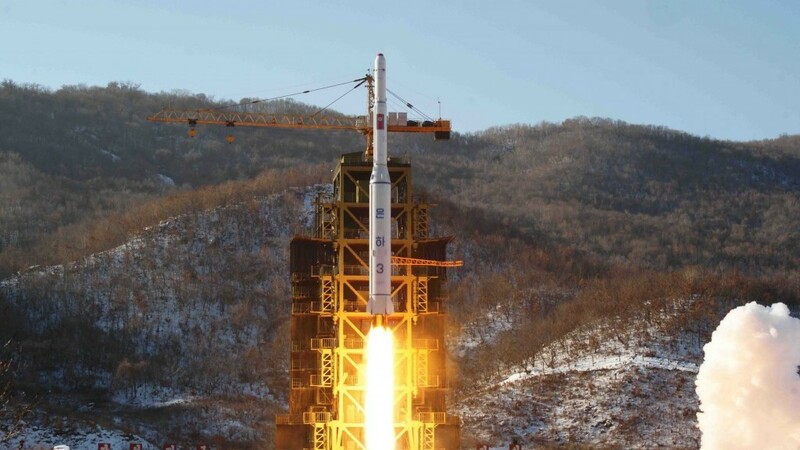 The Paris-based National Council of Resistance of Iran (NCRI) told Reuters that half a dozen experts in nuclear warheads and ballistic missiles from the North Korean Defense Ministry visited Iran during the last week of April. The NCRI said it was the delegation’s third visit in 2015, and the group was due to return in June. “The delegates included nuclear experts, nuclear warhead experts and experts in various elements of ballistic missiles including guidance systems,” the report quoted the NCRI as saying. The report came as Iranian and American negotiators prepared to meet in Switzerland over the weekend to push forward a pact over Tehran’s nuclear program. North Korea, which reached and then broke a nuclear pact with the US in the late 1990s, has been viewed as a warning case by those who oppose the emerging agreement between world powers and Iran. Israeli officials have pointed to Iran’s ballistic missile program as proof it plans to militarize its nuclear program, a claim denied by Tehran. The NCRI, which is best known for exposing Iran’s enrichment plant at Natanz and heavy water facility in Arak in 2002, has been criticized by experts for having an overtly politicized agenda. According to the group, which cited sources inside Iran’s Revolutionary Guard Corps, the North Korean delegation was secretly taken to the defense ministry’s Imam Khomenei complex east of Tehran, and visited the Organization of Defensive innovation, the center’s unit of weaponizing research and planning. The unit researches and manufactures parts for nuclear warheads and is one of the sites under US sanctions, the NCRI said. 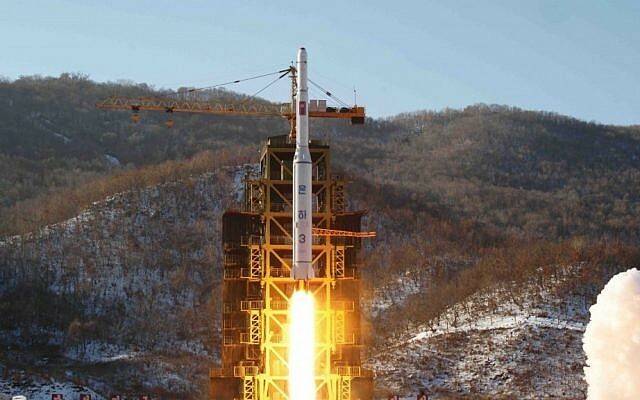 Military cooperation between North Korea and Iran has extended to include the development and exchange of ballistic missile technology, in violation of UN sanctions, however reports of nuclear cooperation between the two countries have not been verified. NCRI spokesman Shahin Gobadi said that the recent report confirmed allegations that Iran has no intention of abandoning its nuclear ambitions. “The weaponization program is continuing and they have not slowed down the process,” Gobadi said, according to Reuters. Iranian officials and UN nuclear watchdog IAEA declined to comment on the group’s claims, according to the agency report. The report comes as Iran and the P5+1 — the five permanent members of the UN Security Council plus Germany — want to turn a framework accord reached in Switzerland on April 2 into a full agreement aimed at limiting Tehran’s nuclear capabilities by June 30. State Department spokesman Jeff Rathke said Wednesday that the goal is to make progress toward an agreement by an end-of-June deadline. European and Iranian officials have suggested the talks may require more time, but Rathke said the US isn’t considering an extension. The issue of whether Iran will allow inspectors access to military sites has become a major sticking point in talks. France said Wednesday that it would not sign off on any deal if it did not include an oversight mechanism for the military installations. The State Department said Wednesday that its lead nuclear negotiator, undersecretary Wendy Sherman, will leave when the negotiations with Iran are finished. Sherman has led much of the technical discussion in Europe with Iranian officials over the last two years. During her tenure the US and Iran reached an interim agreement in November 2013 and a framework pact in April.